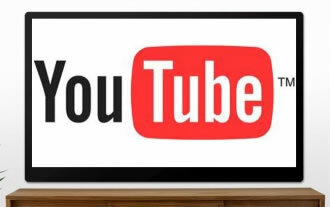 Google's popular video site YouTube faces a potentially massive royalty bill after losing an ongoing legal battle in the German regional courts in Hamburg on Friday, which concluded that the video site had not done enough to prevent copyrighted clips being uploaded. "We reached our primary goal one hundred percent, to have the court confirm that YouTube is fundamentally responsible for videos posted by users," GEMA chairman Harald Heker wrote in a statement on their website. "YouTube must implement appropriate measures to protect our repertoire and cannot simply pass on this obligation to the copyright holders." He continued, "this is an important victory for us." It all started in 2010 after talks regarding royalty fees broke down between YouTube and GEMA, an industry copyright group that represents around 60,000 German song writers and musicians. GEMA subsequently filed a lawsuit based on 12 separate music clips uploaded to YouTube. Friday's ruling concerns seven of those in the original filing. The copyright group has built up quite a reputation for filing lawsuits against sites that don't pay royalties, including several wins against Rapidshare. They even led to the removal of Grooveshark's service from the country after licensing rates set by GEMA made it impossible for them to be profitable. YouTube maintained that it wasn't responsible for the content users uploaded, but did point out that infringing content was promptly removed upon being reported. The court disagreed, however, stating that the video sharing site was responsible and wasn't doing enough to prevent users uploading material of a copyrighted nature. "Today's ruling confirms that YouTube as a hosting platform cannot be obliged to control the content of all videos uploaded to the site," said a spokesperson for the video site. "We remain committed to finding a solution to the music licensing issue in Germany that will benefit artists, composers, authors, publishers and record labels, as well as the wider YouTube community." It's not yet known whether Google plans to appeal the regional court's decision. In December the search giant refused GEMA's revised offer of six Euro cents cost per stream, a reduction of 50 percent on their previous demand. Similarly, it's currently unknown how this will affect the site's users in Germany, and Google has not responded to requests to further information.